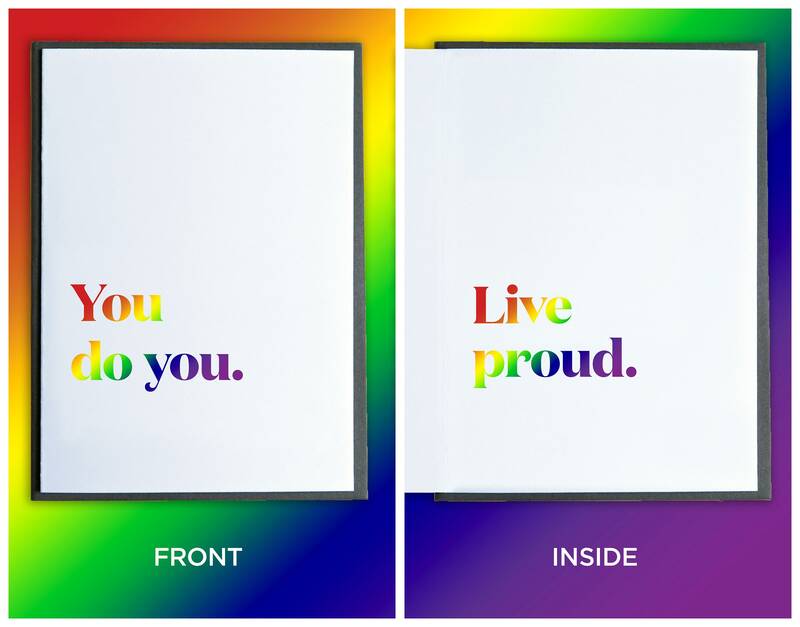 PRIDE Month Card - Rainbow Card - Gay Pride Card - LGBTQ Card - Lesbian - Bisexual - Trans - Pansexual - You do you. Live Proud. 5x7 cards with multicolored lettering both inside and out. Printed in small batches on the prairie. Charcoal envelopes included. Papers made sustainably. PRIDE Month Card - Rainbow Card - Gay Pride Card - LGBTQ Card - Lesbian - Bisexual - Trans - Pansexual - Love is Love.